Kick off your visit on the 18th (Fri): tour the pleasant surroundings at Torrey Pines State Natural Reserve. On the next day, examine the collection at USS Midway Museum and then kick back and relax at La Jolla Cove. To see ratings, reviews, traveler tips, and more tourist information, read San Diego sightseeing planner. Philadelphia to San Diego is an approximately 7-hour flight. You can also do a combination of train and flight; or drive. Due to the time zone difference, you'll gain 3 hours traveling from Philadelphia to San Diego. Prepare for somewhat warmer weather when traveling from Philadelphia in October: high temperatures in San Diego hover around 78°F and lows are around 64°F. Cap off your sightseeing on the 19th (Sat) early enough to go by car to Los Angeles. 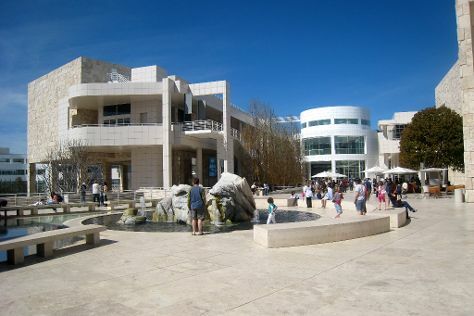 Kick off your visit on the 20th (Sun): look and learn at Griffith Observatory, examine the collection at The Getty Center, and then admire the masterpieces at Los Angeles County Museum of Art. To find photos, other places to visit, traveler tips, and tourist information, use the Los Angeles online trip builder . Traveling by car from San Diego to Los Angeles takes 2.5 hours. Alternatively, you can take a bus; or fly. October in Los Angeles sees daily highs of 82°F and lows of 62°F at night. Finish up your sightseeing early on the 20th (Sun) so you can go by car to Santa Barbara. On the 21st (Mon), tour the pleasant surroundings at Butterfly Beach and then enjoy the sand and surf at Thousand Steps Beach. To see other places to visit, ratings, more things to do, and more tourist information, refer to the Santa Barbara itinerary site . You can drive from Los Angeles to Santa Barbara in 2 hours. Alternatively, you can take a bus; or take a train. Traveling from Los Angeles in October, expect Santa Barbara to be little chillier, temps between 77°F and 53°F. Finish your sightseeing early on the 21st (Mon) so you can drive to Big Sur. Kick off your visit on the 22nd (Tue): kick back and relax at Pfeiffer State Beach and then immerse yourself in nature at Julia Pfeiffer Burns State Park. To see maps, more things to do, reviews, and more tourist information, refer to the Big Sur trip builder website . You can drive from Santa Barbara to Big Sur in 5.5 hours. Other options are to do a combination of bus and flight; or fly. Expect little chillier weather when traveling from Santa Barbara in October: highs in Big Sur hover around 70°F, while lows dip to 52°F. Finish up your sightseeing early on the 22nd (Tue) so you can catcht the bus to Monterey. Monterey is a city in the U.S. To find ratings, reviews, where to stay, and tourist information, read Monterey driving holiday planning site . 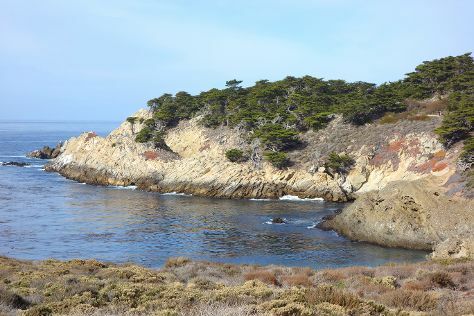 You can take a bus from Big Sur to Monterey in an hour. Alternatively, you can drive. In October in Monterey, expect temperatures between 70°F during the day and 52°F at night. Wrap up your sightseeing on the 23rd (Wed) to allow time to drive to Santa Cruz. On the 24th (Thu), look for all kinds of wild species at Neary Lagoon Park and then see majestic marine mammals with a dolphin and whale watching tour. To find reviews, more things to do, photos, and other tourist information, read our Santa Cruz travel route planner. Drive from Monterey to Santa Cruz in an hour. Alternatively, you can take a bus. Traveling from Monterey in October, you will find days in Santa Cruz are a bit warmer (76°F), and nights are about the same (51°F). Wrap up your sightseeing on the 24th (Thu) early enough to drive to San Jose. To see ratings, where to stay, photos, and tourist information, use the San Jose itinerary builder tool . Traveling by car from Santa Cruz to San Jose takes an hour. Alternatively, you can take a bus. In October in San Jose, expect temperatures between 77°F during the day and 54°F at night. On the 24th (Thu), you're off toSan Francisco. For more things to do, ratings, photos, and tourist information, use the San Francisco journey maker tool . Traveling by car from San Jose to San Francisco takes an hour. Alternatively, you can take a bus; or do a combination of bus and subway. In October, daily temperatures in San Francisco can reach 73°F, while at night they dip to 56°F. Wrap up your sightseeing by early afternoon on the 25th (Fri) to allow time for travel back home.